Yes, this is all about joints, no, not the kind you carve for Sunday dinner, not even the kind some people roll up in paper, light up and smoke, no, no. This is all about "knee joints" and I do know a lot about them. At 19 years of age I injured mine while ice skating. After the surgery the doctor told my parents "they didn't know much about, or how to treat knee injuries" Very honest guys in those days. Anyway, I was on crutches for 3 weeks and got it to a sitting position. That was that and no more pain There was no such thing as physiotherapy in 1932. 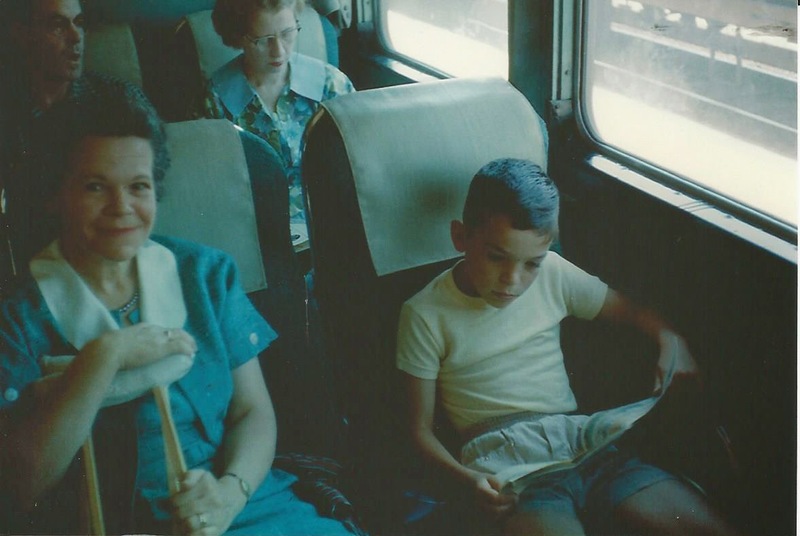 Letty with crutches on the train with son Bob, in the 1950s. She was on holiday despite recovering from surgery. Years later, and seven more surgeries later, using a cane over a 50 year period, I graduated to a walker which has four wheels, what an improvement. Bless the inventors and manufacturers, they get full marks from me. I can go anywhere at any time, basket ready for any shopping, a seat to sit on when I'm tired, brakes, and very light. I'm the luckiest 93 year old in the neighborhood, and I walk every day. To walk is a pleasure I've always enjoyed, and still do. Forget the pain and get out there and walk. Letty's knee surgeries took up a lot of her life. Usually, it was only her left knee, but in her late 70s, she had knee replacement surgery on both knees. 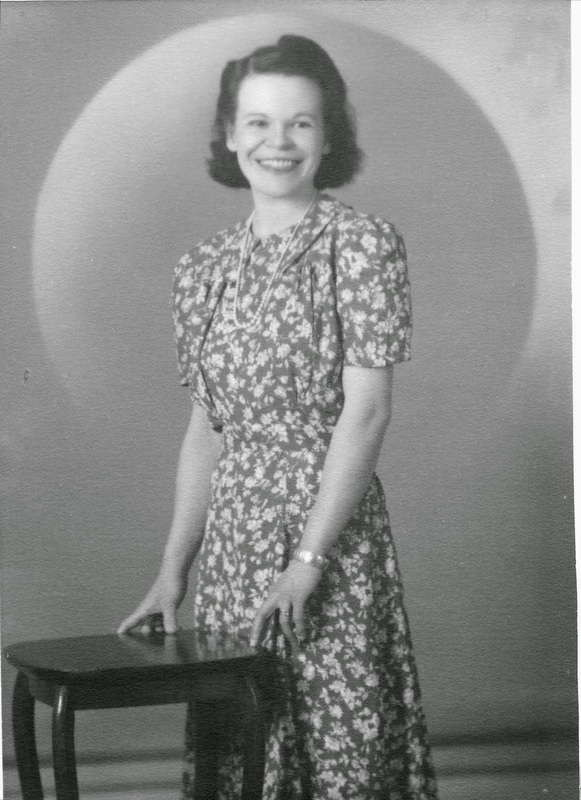 Physiotherapy enabled her to get more movement in the left knee than she'd had for years, but the right knee replacement was less successful. Eventually, after fifteen years, both replacements failed, but by then she was too old to re-do the surgery. She did not walk with a cane for anything close to 50 years; that would have taken her cane-using days back to her 40s. I remember her having to go sideways down steps because her knee wouldn't bend far enough, but she didn't consistently use a cane until into her 80s just before the replacment surgery. I remember trying to convince her to use a walker several years before she "graduated" to one from the cane. She was far more stable and no doubt saved herself from several falls.